Since 1996, the Diocese of Northern Indiana has supported and made regular mission trips to our Companion Diocese in Honduras. It has been an immensely rich and rewarding relationship. Short-term mission participants have returned from their trips amazed to see God's hand in the every day life of these faithful people. We are pleased to share with you that a 2018 trip is in the works. The tentative dates are July 27 through August 7, 2018. 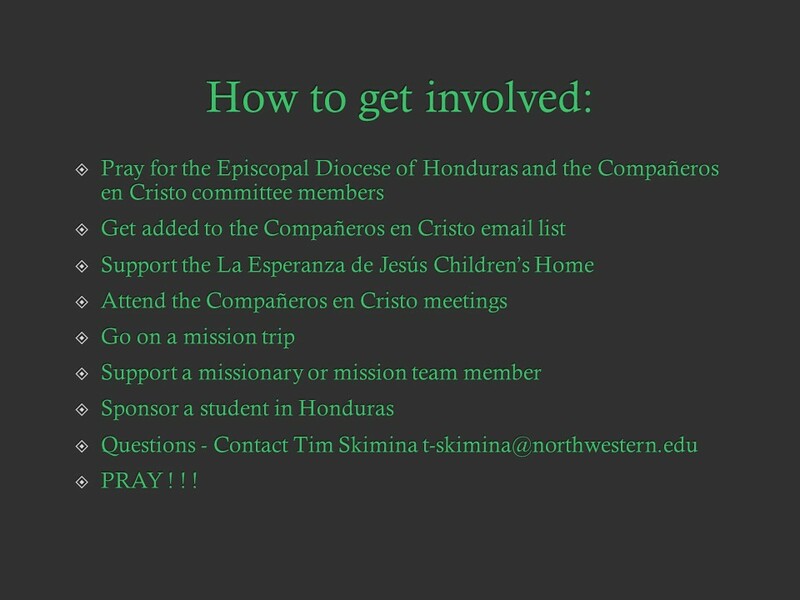 Interested individuals should contact Tim Skimina at t-skimina@northwestern.edu. The roof, at the beginning, that needed cleaning off and another roof installed for shade. From the 2017 trip ... 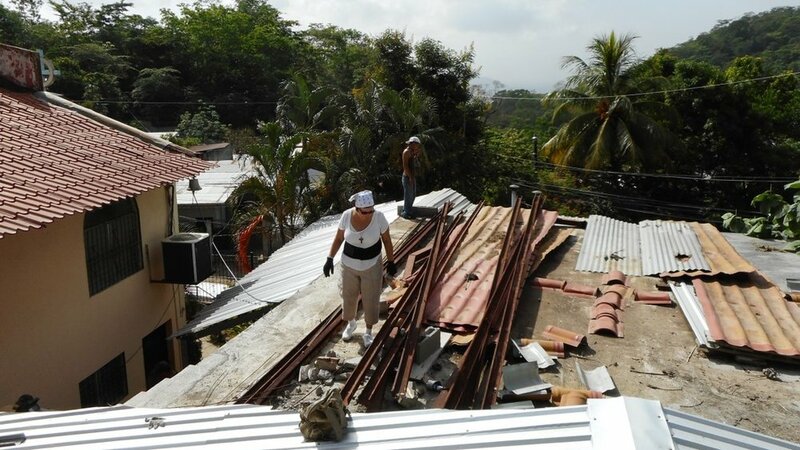 The Honduran Mission Team, traveled to San Pedro Sula, Honduras to work alongside the parishioners of San Jose de Montaña June 29 through July 11, 2017. They spent time at the Hope of Jesus' Children Home; visited San Lucas in Delicias del Norte, a village where they have worked for over ten years; and worshiped, broke bread, taught and worked together to build a second story on the parish hall at San Jose de Montaña. It was a wonderful, Spirit-filled trip! Returning team members deepened friendships from last year and the new team members formed new ones. Previous projects include installing a water treatment plant providing safe water for up to 4,000 people and supporting a health infrastructure project by building efficient stoves, pilas (water cisterns) and a latrine. On other trips, a structure was build to house a sewing cooperative for the women in the village of Delicias del Norte. Over the years we helped to build three churches, a chapel and a day care center - "Los Amiguitos de Jesus". We have donated Bibles, Spanish prayer books, medicine, medical supplies, medical tests, surgery and helped to plant gardens.